There are a number of programs unique to each search engine — each offering their own advantages to marketers. At Yahoo!, Search Submit gives search marketers a paid inclusion method with many benefits. Paid inclusion and submission is the topic of the show, and Bruce, Susan and Virginia start off by looking at why marketers will appreciate the advantages of Search Submit Basic and Search Submit Pro with Yahoo! The high level of control in listings, the guaranteed findability of pages and the built-in analytics reporting are just a few of those unique benefits. Amy Figliuolo, vice president of sales at search marketing firm Position Technologies, talks to Virginia about the Search Submit programs. Amy previously worked at Yahoo! 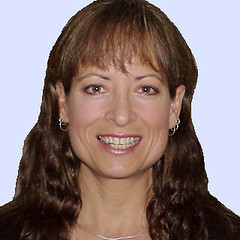 Search Marketing as well as Overture, so she has an experienced view of the way SSP can be leveraged for best effect. Her company is also the only marketing firm to offer Search Submit Pro Self Serve. Amy explains to Virginia what marketers can expect from the program, what kinds of companies should consider each program, as well as the limitations of SSP. Closing out the show, Susan, Virginia and Michael consider Web site submission at locations across the Web. Best of the Web and the Open Directory Project are two common Internet directories to consider. Local listing services require the authentication of submitted sites, and are among the most important submission opportunities available to small and local businesses. Real-Time Search: What’s It Worth? Real-time search is a buzzword that’s been getting a lot of action in the search industry lately. Bruce, Susan and Virginia discuss what real-time search is, how it can be used as a tool, and whether or not a real-time search optimization strategy exists. They also look at real-time search in the spectrum of search engines and whether or not Web search might be influenced by real-time search. SEO and social media marketer Dana Lookadoo then talks to Virginia about how to use real-time search as a marketing advantage. She explains the value of real-time search for individual users as well as businesses and gives her tips on how to optimize content for real-time search. Dana has also written about the usefulness of lifestreams on her blog. In a similar way, a lifestream is a window into the interests of an audience and can also help businesses attract engagement. Along with real-time search making the news of late, some other headlines have also made a search splash. The FTC is modifying its guidelines to require bloggers to disclose any payment received. Yahoo’s new product Search Pad lets users take notes, save and share searches. And the announcement that several Google Apps were coming out of beta was the source of a few chuckles. A reputable marketing intelligence agency, Interpublic, has forecasted that search advertising will be the only major marketing channel to make gains in market size this year in its report MAGNA Media Advertising Forecast (pdf). Today’s show is about online advertising with a focus on pay per click (PPC). Bruce, Susan and Virginia start off the show with a look at some recently launched online ad opportunities, Google Affiliate Network Product Ads and Yahoo My Display Ads. 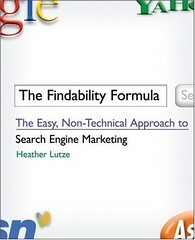 Heather Lutze is the author of The Findability Formula: The Easy, Non-Technical Approach to Search Engine Marketing. With the search advertising industry expected to grow, it’s helpful to have a plain-English resource that can help SEM students hit the ground running. Heather talks to Virginia about organizing campaigns to target consumers at various stages of the buying cycle, preparing for seasonal PPC campaigns, and some other lessons, rooted in more than a decade of experience, that Heather shares in The Findability Formula. At Bruce Clay, Inc., SEM analyst Jim Stratton troubleshoots and manages PPC campaigns everyday. He sits down with Susan and Virginia to explain his strategy for theming keyword ad groups. By theming ad groups within campaigns, a marketer can better see the performance of individual ad groups and more easily identify areas for improvement. Siloing is a cornerstone of BCI’s SEO methodology, and a theme-aligned structure can also work for paid search campaigns. Semantic search aims to serve search results based on word and sentence meaning. The technology tries to understand natural language in order to respond with the best query results. 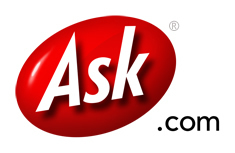 Ask.com has led the way in semantic search technology with DADS (Direct Answers from Databases), DAFS (Direct Answers from Search), and AnswerFarm. Ask.com and semantic search are the focus of today’s episode. Bruce, Susan and Virginia discuss Ask’s clear commitment to the advancement of search, and what the engine could do to better support the SEO and webmaster communities. Virginia then talks to Tomasz Imielinski, executive vice president of Global Search and Answers at Ask.com. Tomasz explains the effort he’s leading at Ask to continually develop their proprietary semantic technology. Some search categories, like TV listings and sports, are greatly enhanced by Ask’s ability to extract information from structured data such as databases and XML feeds. They also discuss Ask’s growing Q&A database, which is powered by semantic technology, as well as Ask’s goals for advancement and innovation. At Yahoo, they’re approaching semantic search from a slightly different direction. Susan, Virginia and Michael look at the Common Tag, which Yahoo is helping to develop and will support. Michael argues that structured mark up will not be the future of semantic search, advocating latent semantic analysis instead. Susan is concerned that Web site developers won’t take an action that will currently only help their site in one search engine. Last month a Microsoft executive made a prediction. “From a Microsoft view, we don’t believe budgets will go up any time soon, and I’m talking the next three years,” said John Mangelaars, vice president, EMEA, consumer and online, Microsoft. In deliberating this possibility, Bruce, Susan and Virginia agree that ad budgets are still in flux, however, they’re not convinced that online ad spend will drop over the long term. Giving Mangelaars the benefit of the doubt, the hosts concede his prediction may be possible if he’s speaking about one particular online channel. To gauge the direction of online ad budgets, they take a look at a report of expected ad budgets in the next year. Colby Atwood, president of the media research company Borrell Associates, talks to Virginia about his organization’s findings the subject. Earlier this year, Colby wrote that local online ad spending is expected to “level off and then start declining.” But it’s not because businesses are abandoning in the medium. Marketers are still very interested in the online space, but advertising isn’t the only way to reach consumers. An ad can act like an initial introduction, so once both parties know each other, introductions aren’t needed. Relationship building and keeping customers happy remain the long-term areas of focus. Another report they review is Economics of Search Advertising, which examines how the search ad sales model can be improved. In all of this, it’s important to look at a metric that helps search marketers make informed decisions about ad spend: a customer’s lifetime value. Bruce Clay, Inc. SEM analyst Jim Stratton talks to Susan and Virginia about analyzing the lifetime value of pay per click (PPC) customers — a metric that can help a marketer optimize their search ad budget. If you know your average customer’s lifetime value for your business, you’ll know how much you can spend on an ad that caters to him. If a customer comes to your site from a search ad and leaves happy, there’s a good chance he’ll be back in the future.